Please click the above button to receive your Free Clinical Assessment. This evaluation takes a little effort on your part to honestly answer the questions enclosed and acquire the measurements and data only your body can provide. You are welcome to do the assessment on your own but, we don't recommend it. 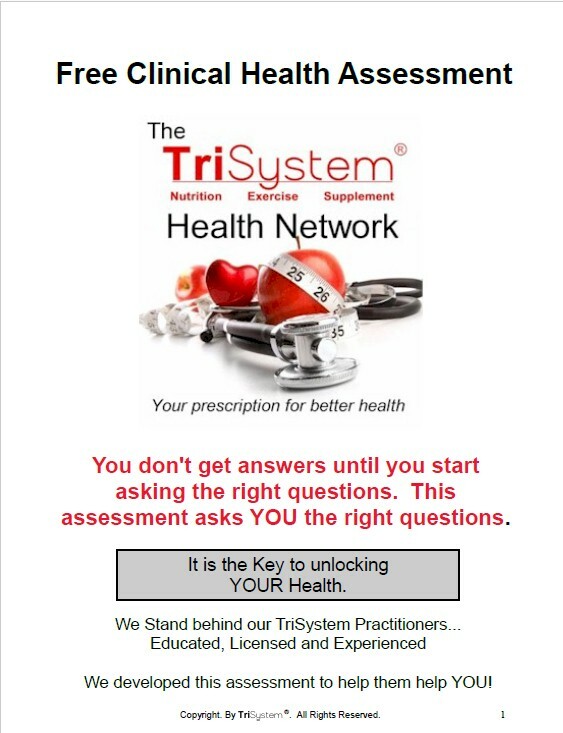 Answering the questions and tracking this information as it changes will give you tools to get healthy right from the start. Working with a practitioner will accelerate your results. Would you like someone to help you? ​ Call 888-538-2348. Select Most Popular Tests from the drop-down menu and select the tests from this page. You may also order additional tests. Be sure to select the option to grant TriSystem access to all orders placed through your account.